Save the date! Canadian Tire Products Parade – Sept. 22 & 23 in Ottawa! 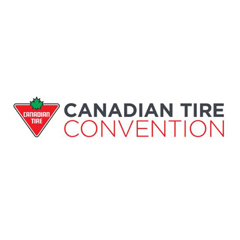 Canadian Tire’s annual Dealer Convention is happening this September in Ottawa. This is your exclusive opportunity to be face-to-face with a cross-Canada network of Canadian Tire Dealers, store staff, corporate executives and employees, as part of our always-popular Products Parade. Visit the Canadian Tire Corp. website here. This entry was posted in 2018 Shows, Show Resources, Trade Shows and tagged 2018, back wall, banner stand, Buying show, Canada, Custom exhibit, Design, Exhibits, expo, Fabric Exhibits, Marketing, Show Services, Toronto Trade Shows, trade show, Trade Shows. Bookmark the permalink.